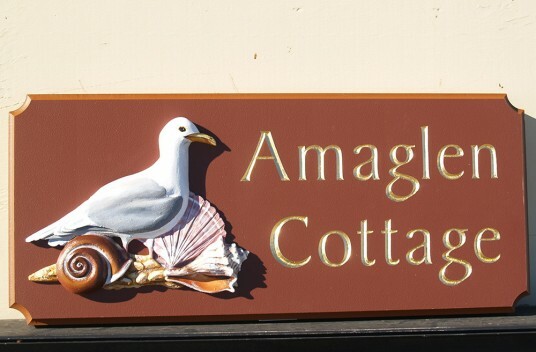 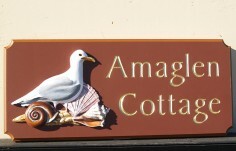 Amaglen is a quaint little hand crafted beach house sign that grabs attention with its lovely dimensional seagull and shells. The lettering is hand carved and gilded with real 23kt gold. 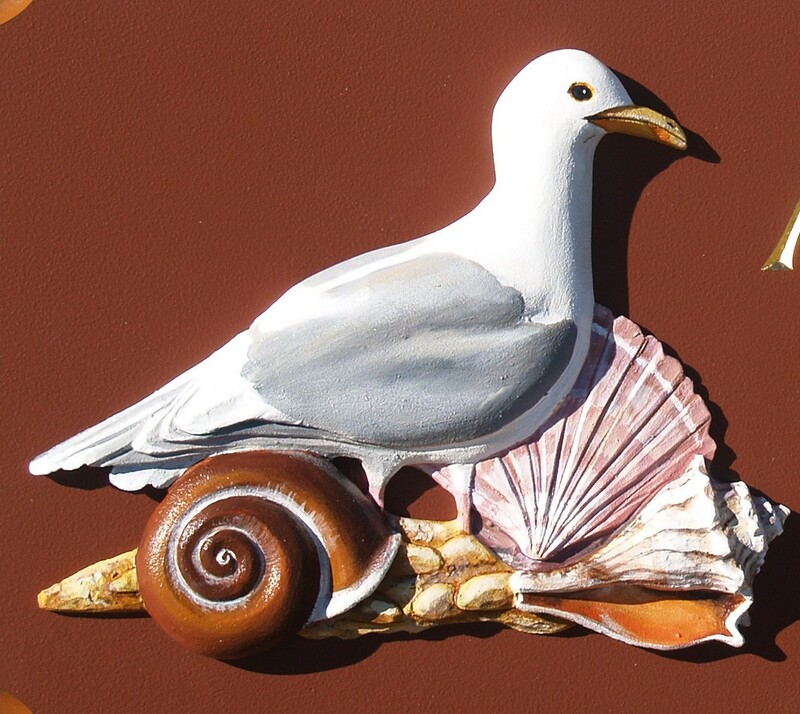 A cove edge in complementary coloring ties in with the artwork and adds a lovely finishing touch. 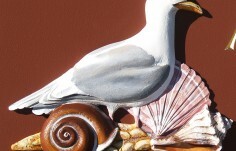 24 " x 11 "